Often people settle for drab decor when it comes to their bedroom. Their content to just sleep in it, and leave the rest of the house to look glamorous. It’s a room that may not get as much publicity as the other rooms, so it gets thrown on the back burner of rooms to transform. You don’t have to worry about sky high costs that come with redesigning your chamber, there’s ways to decorate and bring beauty into your special space without breaking the bank. Bedding and curtains are one of the best ways to make magical modifications in your bedroom. With Julian Charles there’s a selection available to fit everyone’s taste. 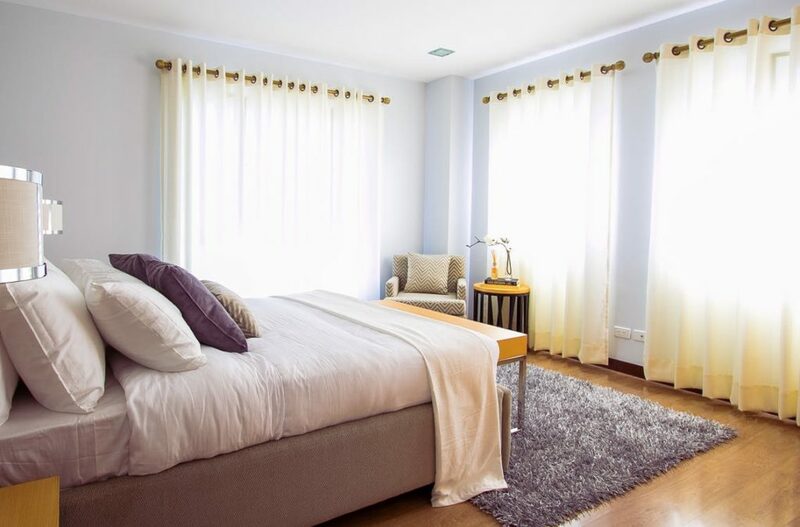 Here’s some ideas to consider when renovating your bedroom. Sleep is one of the most comforting, reward, and generally helpful things a person can receive, but the bedroom is a place that should be luxuriated in and prized, not only slept in. It’s a space where you can be alone, and unwind, and you want to do that in a place that’s pleasing to the eyes and that’s not just accumulating ancient accessories that you’ve dotted in there to fill the space. Bedding is one way to bring that brilliance back into your room again. It can be the first thing that adds more flavor and flare to a bedroom that’s become distasteful. New bedding can instantly give a room a whole new image, from stifling to spacious, shabby to chic, bland to beautiful. Get the style that suits you and instantly feel and see the difference. Think of what other accessories could shaz up your bed, from the textures of the sheets, whether patterned, colored or whatever special factor you’d like. You could purchase more pillows for extra comfort, maybe even in different shapes and sizes. Applying bed skirts could add a luxurious flair to a bed as well as conceal any clutter. Or you might like to spice things up with a bed runner that brings out even more contrast in the room. When you close your curtains do you feel like closing your eyes too. You don’t have to look away from your worn out curtains that are desperate for a change, but you can replace them today with resplendent drapes that will leave you gazing. Your curtains can either accentuate or attack the rest of the decor in your room, so make sure you pick the right ones. Your curtains serve as a piece of art in your safe space, and with the right ones they can leave you feeling serene instead of stressed. You can have light curtains that offer life to your room, or modern ones that cause you to muse. It’s whatever tickles your fancy. From imogen, to paisley white, that makes your room feel like paradise, to harrison or blossom silver that makes you feel at ease. Daydream about your perfect curtains no longer, there’s a range of opulent designs available to make you love your luxurious space. It’s time for you to #RenovateRedecorateInspire. You can reveal your personal side with canvases and colors that make you feel comfortable. Let the walls stand out with a coat of fresh paint. You might even like a new side cabinet, or lamp, or other accessories that will spice things up abit. Check out this ebook for more tips and advice when making small affordable changes to your home.